With over 360 bingo sites available to players in the UK it is fair to say that what we are seeing is a very full house. Many authoritative industry figures had made assumptions that the Point of Consumption tax (POC), introduced on 1st December 2014 would dramatically slow down the number of new entrants to the bingo market. However, seven months into the new tax that prediction does not seem to have been accurate. The new POC tax is aimed at all gambling operators who accept wagers or bets from players based in the UK. This means that all those operators who had positioned themselves in tax effective locations will now have to pay the new tax at a 15% rate, regardless. It was expected that this 15% would make some smaller ventures struggle to remain profitable and that they would therefore close down or sell to larger more established brands; again this does not seem to have happened yet. Why so many new sites? This page tracks new bingo sites that have just launched to the UK market; as you can see there are many new sites appearing each month. Most of the sites you see are what are known as white label brands. These sites are members of networks and therefore their operations are largely managed centrally. This means that the brands have the same servers, chat host staff and all other resources as each other. The white label setup allows for new sites to be introduced in a very cost effective manner. In reality a prospective partner will usually make contact with a network that provides white labels and ask them if they would be able to provide a new site. Generally it will be the responsibility of the partner to register a domain and provide graphics for their new brand. This all sounds like a very attractive arrangement and given that some networks will allow new white labels free of charge it can all be very cheap to become the proud owner of a new bingo site. The unfortunate reality is that many new partners dive into white labels without realising how competitive the industry is and how difficult and expensive it is to acquire new players. Whilst it is rare for a white label site to closedown, it is very frequent to note sites, which are barely doing any business and therefore will not be profitable. 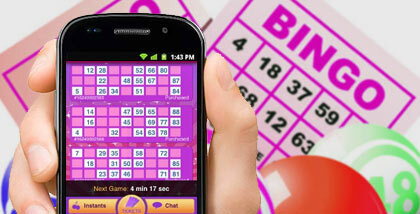 All of these new bingo sites are generally a good thing for customers. Each time a brand opens players will be able to take advantage of a new sign up bonus and have the potential to win some money from these funds. Unfortunately from a players perspective most new white label sites are effectively a carbon copy of other sites on the network, and as such are repetitive and boring. Every now and then a forward thinking partner will invest extra time and money into their product and offer unique promotions and bingo games. For now it seems clear the new sites are going to continue to pop up like mushrooms, but whether or not they are successful business ventures is a different matter, the sustainability of this trend is definitely in question too. Whether we will reach a time when we have a site per player remains unlikely.